When using my printer for the first time, do I need to adjust any settings to get it to work with my scale? 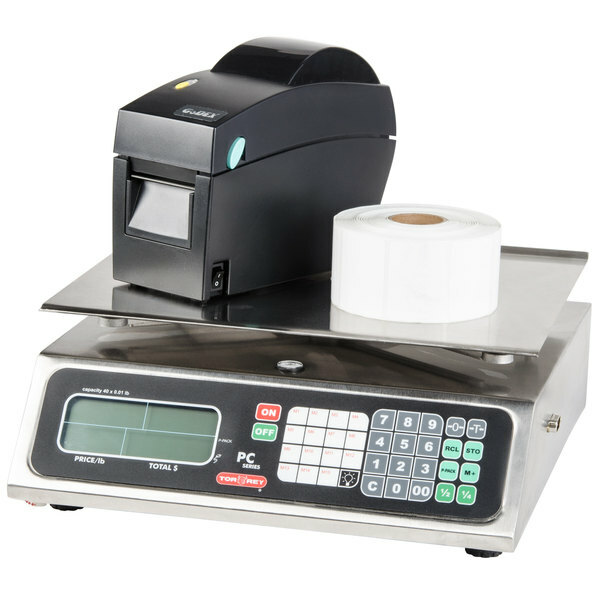 The DT-2 printer comes pre-programmed to work with the scale in this kit. Please do not change any settings, as this may cause connectivity issues. If you are having trouble getting the printer to work with the scale, and have confirmed they are properly connected with the correct cable, please contact the manufacturer's tech support for further assistance. 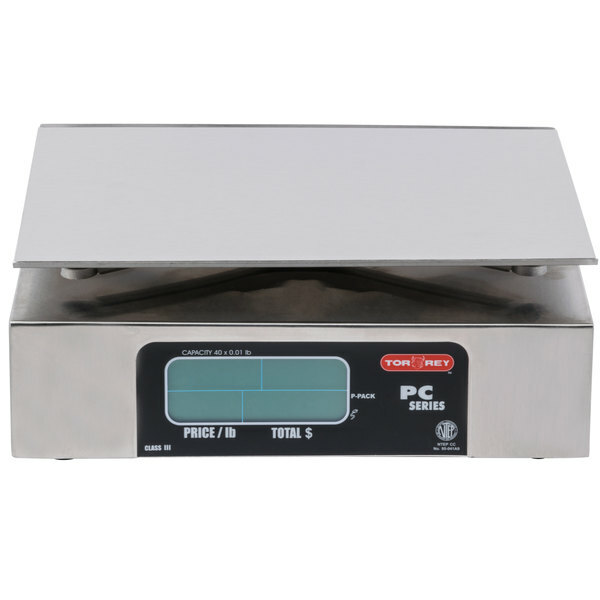 Designed to increase efficiency and functionality within any butcher shop, deli, market, and more, this exclusive Tor Rey digital price computing scale kit is guaranteed to serve as a practical solution to your portion control and measuring needs. This kit features the Tor Rey PC-40L 40 lb. 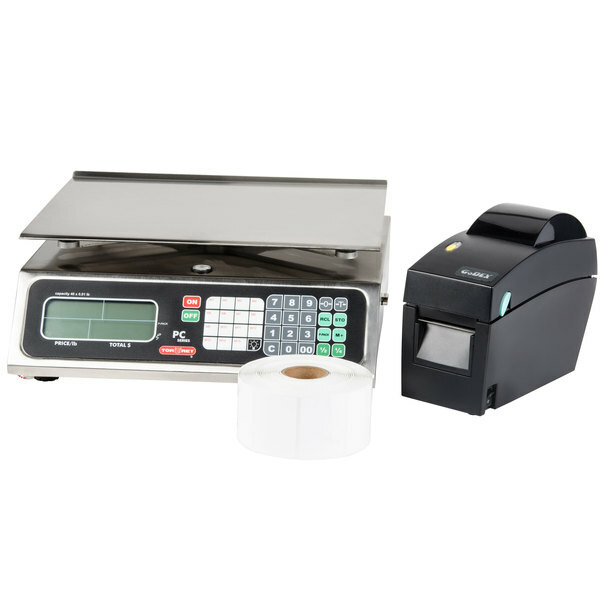 digital price computing scale, along with the DT-2 thermal printer and label roll to provide an easy, all-in-one experience. 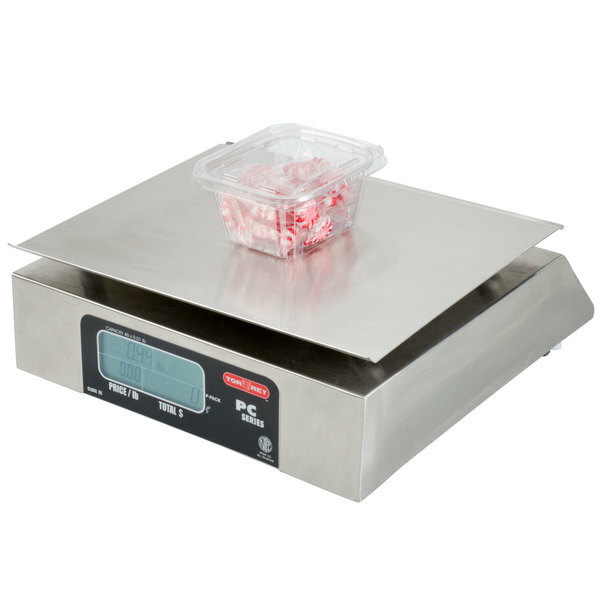 With its compact design, this price computing scale easily fits in tight spaces and is completely portable, making it great for temporary stations like farmers' markets. It delivers pinpoint accurate measurements in .01 lb. increments that make it legal for trade, so you have the peace of mind knowing that you're not under- or over-charging your customers. Thanks to a rechargeable 100-hour battery, you can be sure this unit will stay powered for days at a time, even without a nearby outlet. 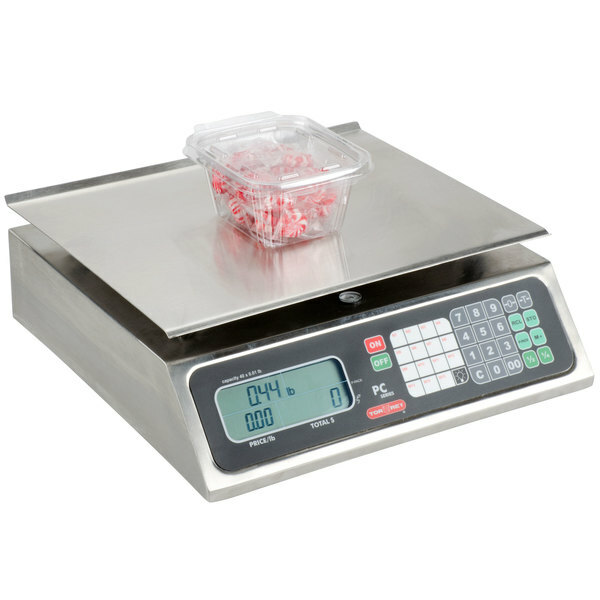 This computing scale features a large 11'' x 14'' platform and front and rear LCD displays so that your customers can watch as their orders are weighed to ensure accuracy. 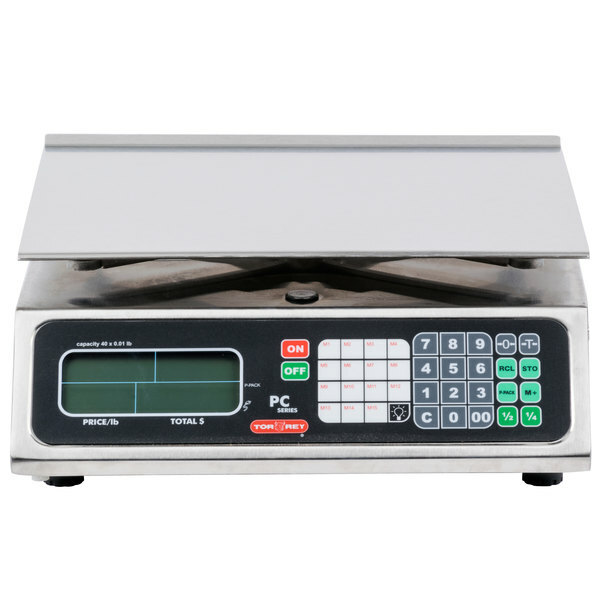 For fast ordering times, this scale also has 15 direct access keys that allow you to recall different unit prices at the push of a button with enough memory to store up to 100 additional prices. Durable stainless steel construction, a detachable platform, and membrane-coated keyboard make clean-up a breeze! 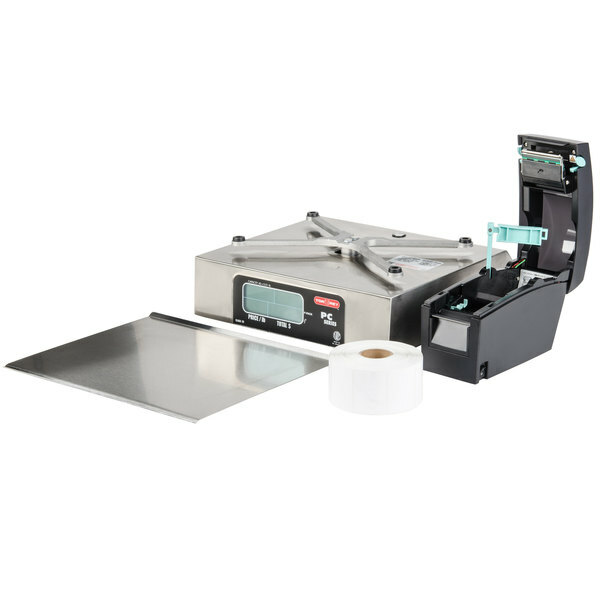 The DT-2 thermal printer easily attaches to the scale to help label products with correct prices and weights in a retail setting. It boasts up to 2MB of user storage for easy operation, and the included label design software is compatible with Windows operating systems. Thanks to a compact design, this printer can even work in areas where space is at a premium. 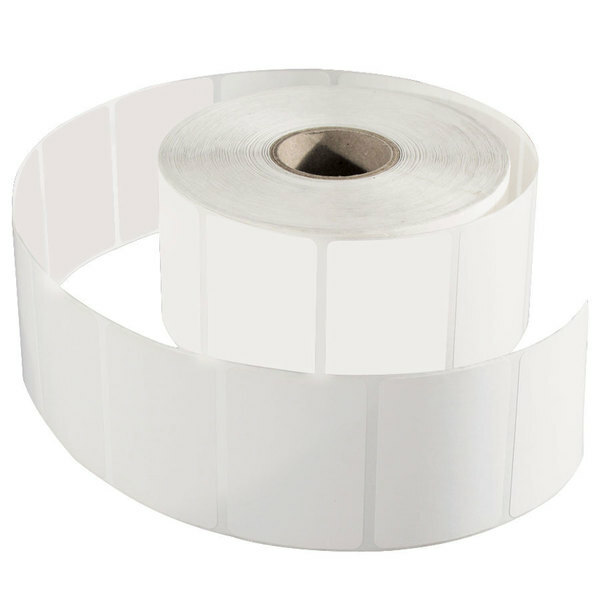 Finally, these label rolls are easy-to-change and come with 1500 labels per roll. The scale includes a 110V power supply. Printer cable sold separately. RS-232 modem cable (9 pin out; Male-Female) needed for printer/scale connectivity. 40 lb. x 0.01 lb. Tor Rey scales are backed by a 1-year limited repair warranty. Within this period, the vendor will pay freight costs to ship defective units to and from their facility for warranty-backed repairs. Replacement units will only be shipped if the manufacturer cannot repair the defective unit. The AC Adaptor did not work from day one. The battery finally died and we weren't able to recharge it. I noticed other reviews had this problem. Buy something else! Thank you for the review, Jim! We’re sorry this scale has caused you issues. As this is still under warranty, we advise contacting Tor Rey directly.